When you are ready to put an official estate plan in place to protect yourself and your family in the future, there can be a lot to consider, even if you don’t have a sizable estate or a large family. To help you get started on the right path, the following points out the handful of documents that should form the basis of your estate plan (if you are serious about having a comprehensive, valid estate plan). This can help you avoid some big mistakes in the future while effectively preserving your legacy and protecting your loved ones. Explaining whether a Letter of Instructions has been left behind. Though not a legal document per se, the Letter of Instructions can be a crucial part of an estate plan because it can specify your wishes for how you want to be laid to rest. In particular, this document can explain whether you prefer to be cremated or buried, your wishes for the funeral or wake, what you would like on a headstone, etc. Although it may seem morbid to think about these issues (let alone to write them down in a formal document), this document can save your loved ones an enormous amount of stress in the future (as they can be confident they are carrying out your last wishes – and they won’t have to try to make tough decisions about laying you to rest as they are dealing with serious grief). Unlike the will and the Letter of Instructions that will likely only come into play following a death, the financial power of attorney may be needed during your lifetime if you ever become incapacitated and unable to make important financial decisions for yourself. In fact, with a financial power of attorney, you can appoint one (or more) person(s) to oversee your finances if you are ever in a serious accident, develop a debilitating illness (like dementia, for instance) or are in a coma. Overseeing trusts for your loved ones. Without a financial power of attorney in place, the court would choose someone (possibly even a stranger) to make these (or other) financial decisions on your behalf (and, in all likelihood, that could result in choices you would not have made or approved of). Will be crucial to ensuring that your wishes and choices for your health and medical care are carried out in the future. To get more information regarding your best estate planning options, contact a trusted Denver estate attorney at JR Phillips & Associates, PC. We are ready to help you develop, revise or administer an estate plan – and we can help you protect your interests at every step in the process. 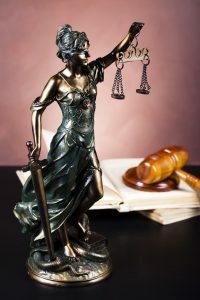 Simply call us at (303) 741-2400 or email us using the contact form on this page to schedule an initial consultation with one of our experienced lawyers. From offices in Denver, we represent people throughout the southeast Metro Area and the state of Colorado.